Car Accident Awareness Month in October recognizes Tort Reform, Bad Faith Insurer Practices, Insured inability to fight Insurance Carriers, makes Insured Civil Rights necessary for Car Accident Victims to receive fair settlements. 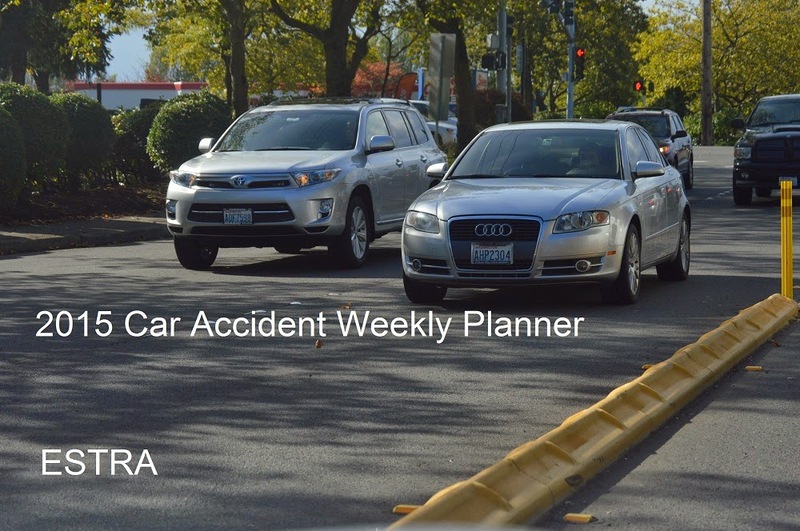 Seattle (ESTRA) – More car accidents happen in October than any other month. Few are ready for what they are about to face when involved in car collision. Most are unaware that Auto Insurance Companies do not always act on Insured behalf. Even celebrities are not out of the reach of Self-Insured Corporations, such as Wal-Mart, or Auto Insurance Companies , such as USAA. 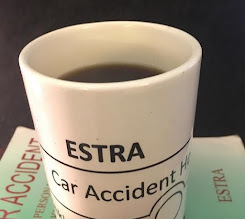 Any large corporation has the assets and legal team to make the life of a car accident victim, who makes less than $60,000/year difficult through income loss, benefit denials, harassment, or surveillance. As with anything in life, knowledge and planning changes outcome. October Car Accident Awareness Month goal is to share the most important things to remember if involved in a car collision. The clock starts ticking at time of a car wreck. From this moment, being your best advocate is of major importance. 1. Acknowledge the intial shock of an accident. It's common for most people wanting to talk about this experience because of the trauma. Yet, this is also a time where many injured are taken advantage of by those searching for ways to eliminate insurance claims. 2. Quality of Medical Care is important upon initial injury. 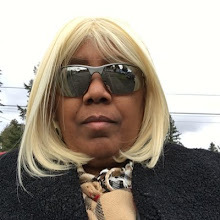 Being checked out by a physcian who specializes in your medical issues can make a difference in length of recovery, type of journey endured, cost of care, and understanding of condition. Therefore, evaluate the impact of the care you are receiving. 3. Daily Planning of appointments, personal care, budgeting, and daily living concerns can alleviate stress. The more that can be done to reduce time constraints while injured, the easier it will be to accomplish daily goals. 4. Facing adversity due financial loss, disability, relationship concerns after a car accident may be lessoned by understanding Auto Insurance Process and/or Self-Insured Employer Benefit Package works. Staying calm and using your head will help to lean toward solutions that will be in your best interest. 5. Most Insured don't know until being involved in a car wreck whether they will encounter "good" or "bad" Auto Insurance practices. This is also true about your Employer. Both of these corporation will begin researching information about you immediately to determine approach to be taken with your benefit request. Therefore, attempt to ascertain immediately whether they are seeking to be fair in their assessment. In this way, you can make a decision how you wish to proceed with interactions with them. 6. Many use Sick Leave Benefits from Employers initially and then if necesary move to Short-Term and Long-Term Disability Benefits. This continues to be an information gathering period for both Employers, Life Insurance, and Auto Insurance Companies. In fact, over 90% of Private Investigators are used by these corporations. 7. Disabilities can be very scary intially. First, it may take time to physcially and emotionally adjust to these new circumstances. Spend time getting as much information on your situation as possible. Be sure to look for the positive outcomes as the next aspired goals. When something is lost, typically something is gained, therefore, stay hopeful in the face the struggles you will surely face. You can make it to the next personal life level. Never give up or in. 8. Unfortunately, Surveillance is often a technique used to harass and intimidate people who file for benefits. Most injured are not use to being treating so poorly and it takes time to learn legal rights, to get support, or stand up on your own against it. Most insurance companies or employers deny benefits to injured in hope of creating such desperation, that giving only a portion of what is deserved is better than going under. Make sure to learn about surveillance tactics and what can be done to protect yourself, preferrably before it happens to you. 9. Social Security Disability is also available to those who qualify. The process review is extensive and takes a great deal of time. If you think disability will be long-term, make sure to apply as soon as possible. Realize their rules do change over time, and it is up to you to stay informed. When learning the rules, makes sure to go online, and read them for yourself. I have personally run into situations where what you are told is not protocol. If you know your rights, being subject to misinformation is more difficult. 10. Rebuilding your life brings many choices. First, if you choose to file lawsuits, realize these corporations have the power and influence to take it out 5 - 10 years. Also, if seriously injured, this will also take a significant amount of time to recover. The most important person in this equation is you. Yes, it may take time to get to a place you are comfortable, and your new way of living may not have entered your mind before. Yet, you do have a place in this world. Use this October, Car Accident Awareness Month to become educated about available options before needing them. Be able to make a difference in your life, when you need to, after being involved in a car wreck. Have something to share this October? Write a comment today. I Support Insured Civil Rights. I Am Up For The Battle. I Will Use What I’ve Learn. I Will Appreciate My Gifts. Good Seasons Will Come Again! Check for regular updates in 2015 of new items. 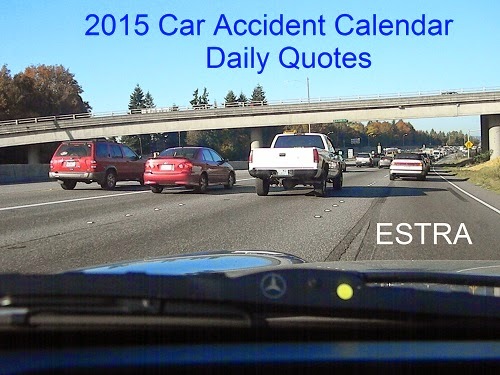 Take ESTRA Car Accident Survey Today! Visit ESTRAAccidentSurveys for Feeback on Twitter or Facebook After Taking Survey. Thanks for sharing your valuable opinions.